Single light window with small rectangular panes. Window features a border of red and green glass with the same colours used for idealised leaves and flowers at the upper and lower borders and a rosette in the centre. 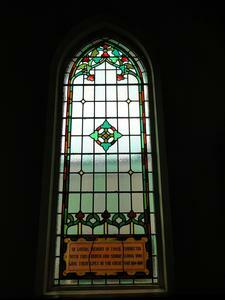 At the base of the window the inscription is pained on an orange panel surrounded by a gold painted frame. Lettering in black. 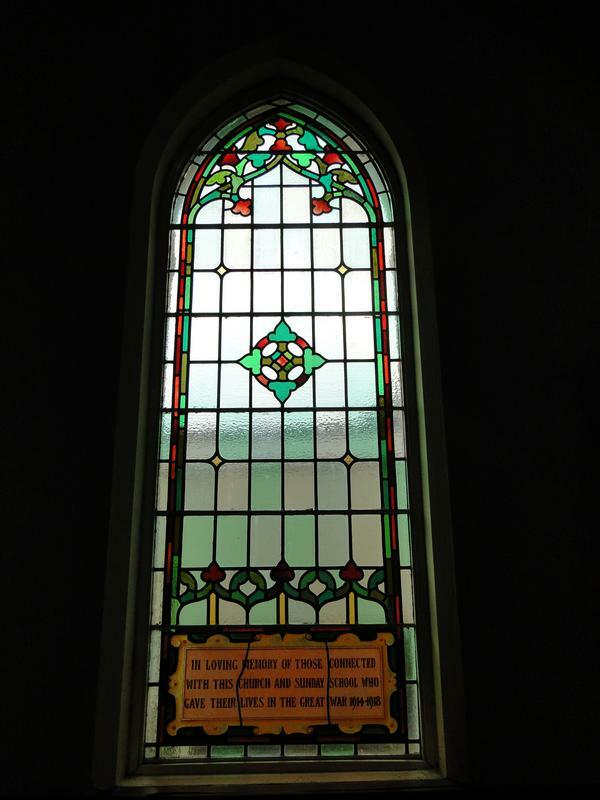 IN LOVING MEMORY OF THOSE CONNECTED/ WITH THIS CHURCH AND SUNDAY SCHOOL WHO/ GAVE THEIR LIVES IN THE GREAT WAR 1914-1918.